Welcome to Drive Trucking, we hope you take a look around! Drive Trucking exists for one reason: to help connect drivers with the right companies to build a lasting career. 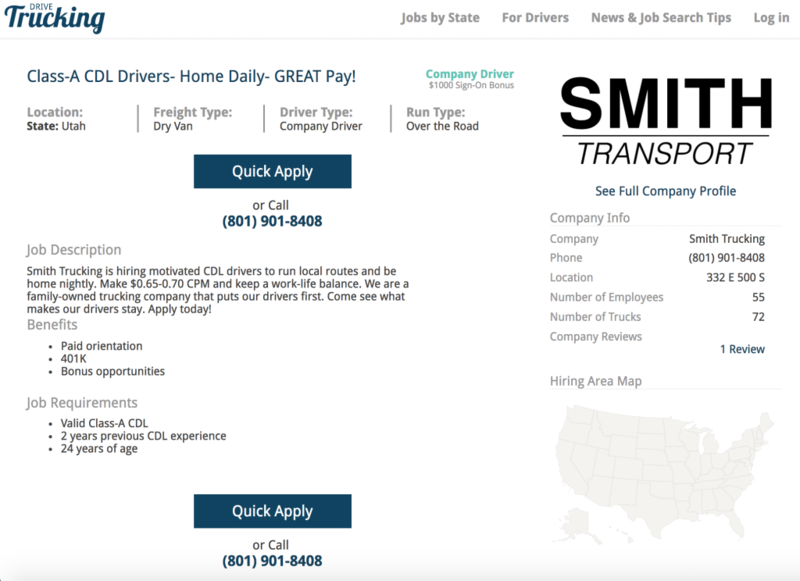 On this website you will find jobs from select companies– small and mid-sized companies that put their drivers first. We know how hard the job-searching experience is like for you and we hope that Drive Trucking helps you find the right trucking job the first time. 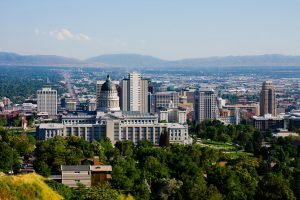 A: Drive Trucking is a product of Firetoss, a full-service digital marketing agency based in Salt Lake City, Utah. We believe truck drivers deserve a better job search experience, and we hope Drive Trucking helps you find the right company to build a career with. Q: What makes Drive Trucking different than other trucking job boards? A: On Drive Trucking, you apply for ONE job, you get ONE follow-up from the company you applied to. There is no “universal application” where your application will be sold to the highest bidder. As a driver, we understand the finding a trucking job that is the right fit for you can be difficult and that many companies simply don't value their drivers. For more information on how Drive Trucking works for drivers, check out our for drivers page. Q: If I'm a trucking company, how can I post my jobs on Drive Trucking? A: If you are a trucking company, we'd love to talk to you! Posting your trucking jobs on Drive Trucking saves you time and will connect you with an audience of drivers eager to work for YOU! On Drive Trucking, drivers apply for individual jobs so you know the applications you receive are for real, interested drivers. We don't keep a driver database and we will never share your applicants with other companies.